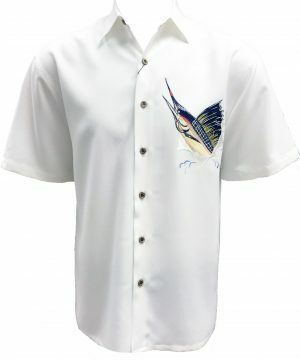 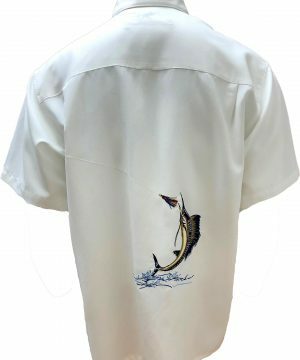 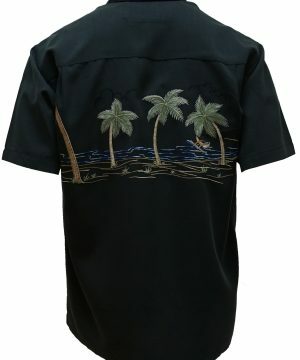 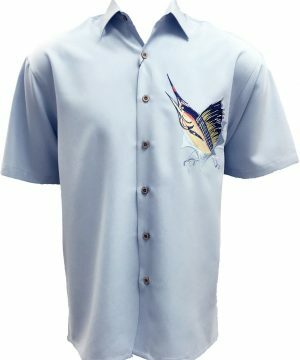 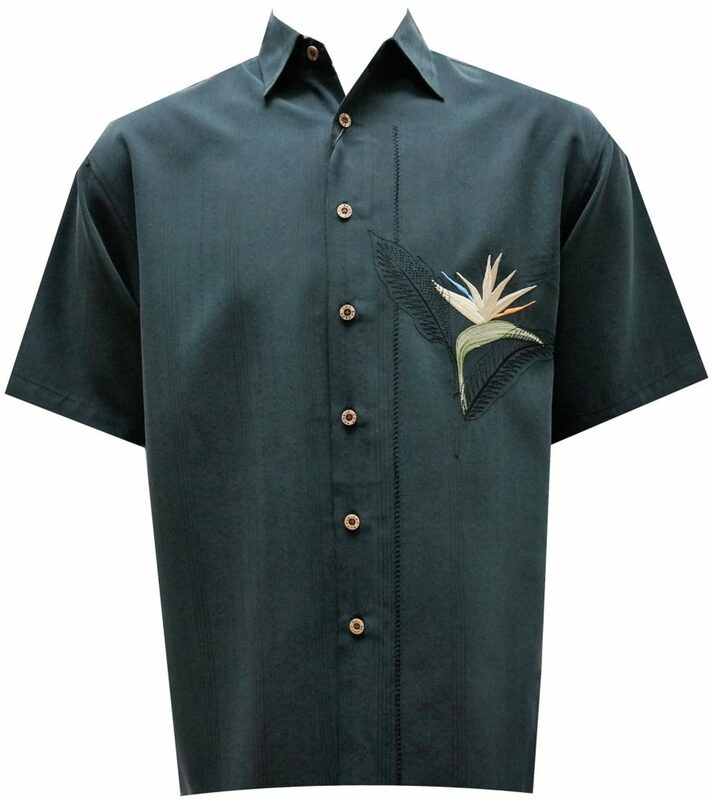 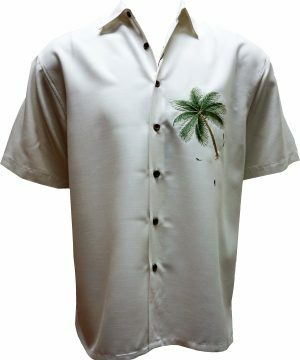 Front embroidered bird of paradise on wearer’s left chest embossed with a tonal embroidered leaves behind making this camp shirt a classic embroidered Bamboo Cay shirt. 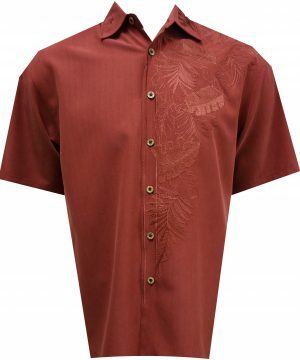 Thousands of fine stitching on a soft imported modal textured fabric, point collar and comfortable side vents, will allow you to wear this beauty on any occasion. 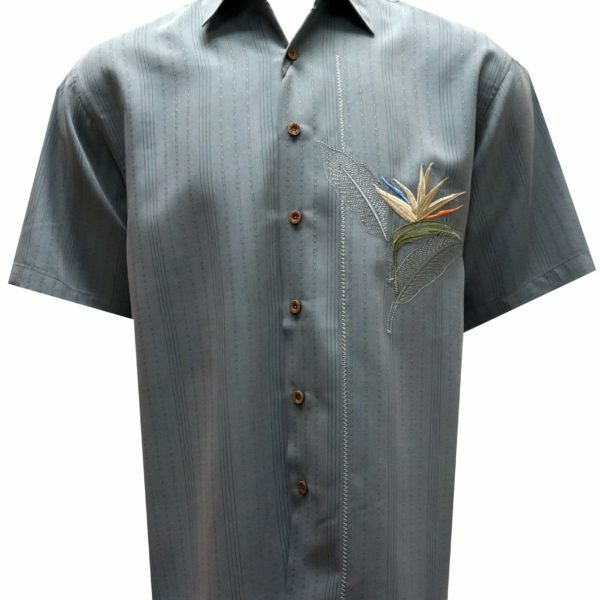 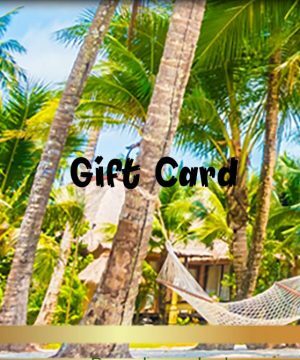 Bamboo Cay will get you noticed without drawing attention to yourself.